Create a killer costume with our Michael Myers Mask! We have Scary Halloween masks, Horror Villain masks, Classic Monster Masks; whatever you need, our Superior Quality Latex Masks are sure to please the whole family. Find the right Halloween Mask including Creepy Clown Masks, Scary Leatherface, Dreadful Werewolves, Ghastly Zombies, this Michael Myers; we have it all at Dallas Vintage Shop! We are the largest HORROR Masks MEGASTORE in Dallas. You will find thousands of Scary Masks, Creepy Scary Clown Masks, Horrifying Clown Masks, Horror Clown Masks, Scary Movie Character Masks, Horrifying Cult Classic Movie Character Masks, Scary Hobo Clowns, Scary Carnival Clowns, Creepy Circus Clowns, Scary Murderous Clowns, Horrifying Halloween Masks, Scary Theatrical Masks, Scary Haunted House Masks and all the Scary Wigs, Creepy Makeup, Horrifying Weapons, Scary Masks Props, Scary Masks Chain Saws, Scary Masks Body Parts for any Scary Movie or TV Show imaginable. We are open all year. Get Complete Masks or just the Masks Pieces or Accessories you need. We have a HUGE SELECTION of SCARY CLOWN MASKS in stock all year round, not just Halloween, and we have the complete outfits to go with your Frightening Clown Masks. Dallas Vintage Shop also has Quality Clown Makeup, Skinner Clown Masks, Pennywise ‘IT’ Costumes & Masks, Haunted Clown Masks, Frightening Clown Masks .Gory Clown Masks, Goth Clown Masks, Creepy Clown Masks, Terrifying Clown Masks, Scary Clown Movie Characters, Scary Movie Clown Masks, Victorian Carny Creepy Clowns, Scary Carnival Clowns and any kind of Happy, Creepy or Scary Clown Outfits you want to create. 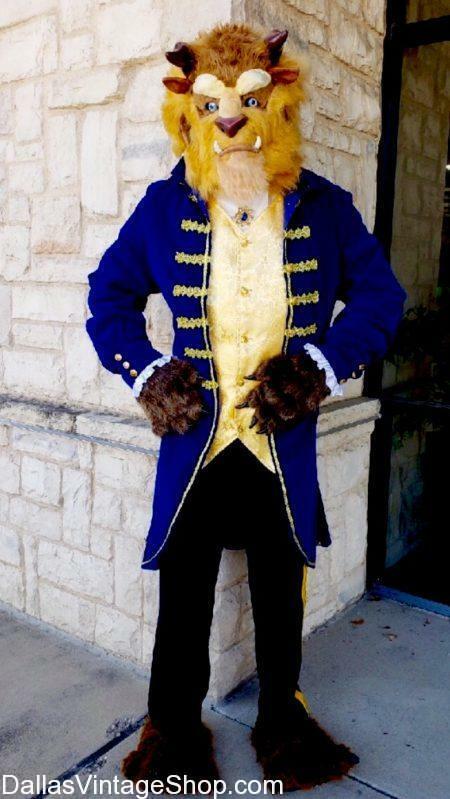 Complete your Disney Fairy Tale Beast look with this Officially Licensed Beast Mask from Beauty and the Beast. 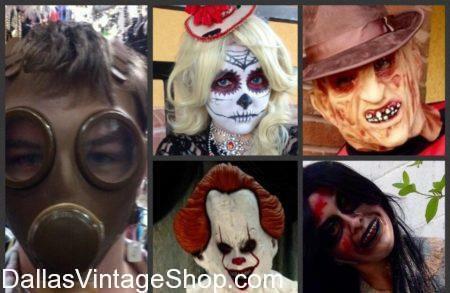 Find the largest selection of Full Faced, Plastic, or Latex Licensed Masks in the DFW area at Dallas Vintage Shop. In Terminator 2, the Terminator T-1000 Costume seems rather simple, until it shape shifts! Top off any of our police officer costumes with a Terminator T-1000 Mask and Gloves and turn something simple into something Creative for Halloween. Find Thousands of Movie Related Cosplay Costumes at Dallas Vintage Shop! Get That Official Look with a Boba Fett Mask! Become the greatest Bounty Hunter in the world by wearing this Licensed Boba Fett Mask and Helmet. Find the Entire Outfit or just a few Accessories at Dallas Vintage Shop. Posted in Costume Masks | Comments Off on Get That Official Look with a Boba Fett Mask! We have Your Licensed Latex Horror Movie Masks! Find hundreds of Horror Movie Masks in stock for Halloween! From popular movies like Pennywise, Michael Myers, Scream, and Frankenstien. We have the top selection and top service at Dallas Vintage Shop. Posted in Costume Masks | Comments Off on We have Your Licensed Latex Horror Movie Masks! 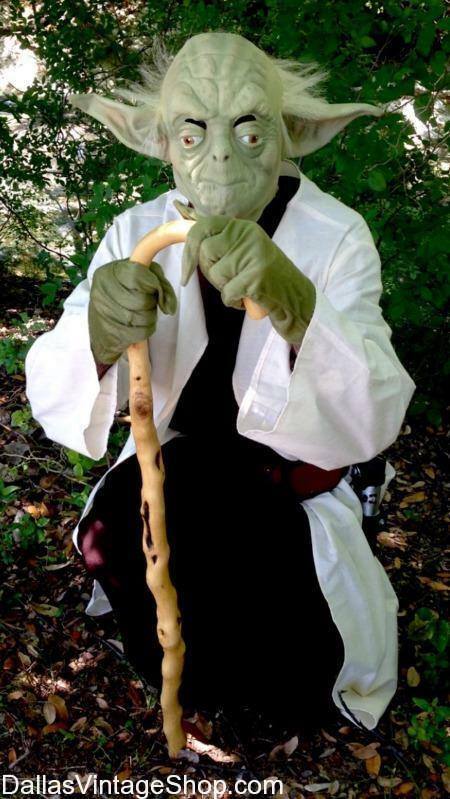 Become a wise old Jedi this Halloween with this Latex Yoda Mask. 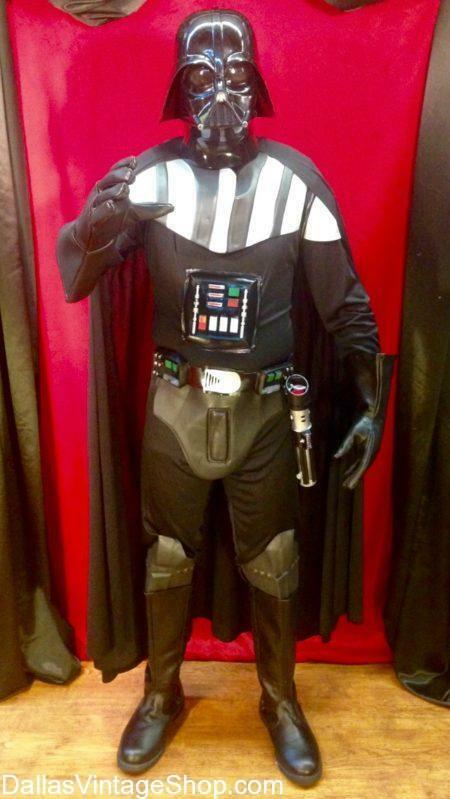 We Have Adult and Kid’s Star Wars Compete Outfit and Accessories so you can become a Jedi or Sith whatever you like! Halloween is coming so don’t miss out, stop by Dallas Vintage Shop today! Find tons of Anime Masks, Costumes, and Accessories and Dallas Vintage Shop. 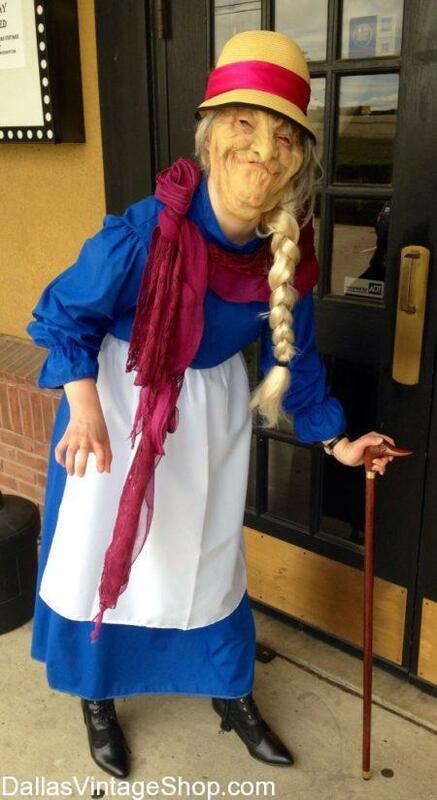 Like this Sophie from Studio Ghibli’s Howl’s Moving Castle. 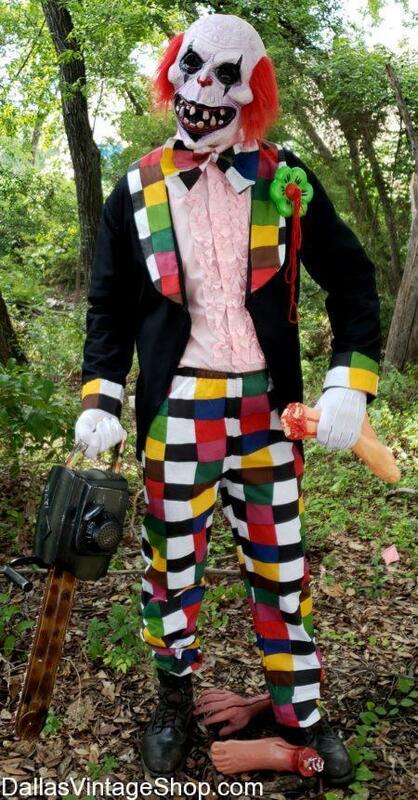 Bring in a picture and have the helpful staff build your next Halloween Costume or Cosplay for a Convention. You are in Costume Masks category.